I’m going to share with you guys a hidden treasure in Chinatown! 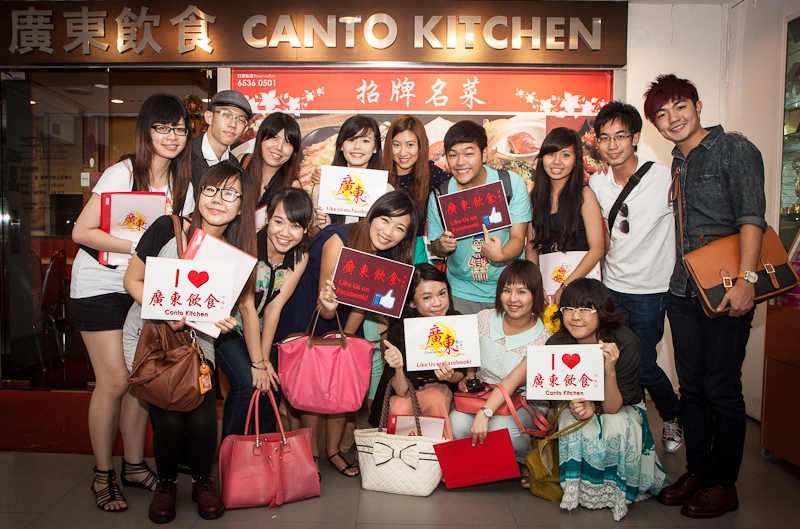 And that is Canto Kitchen 廣東飲食中餐厅, its located at People’s Park Complex Level 5. Thanks Maybeline for organising this food tasting event to give me a chance to try out the awesome Chinese food together with other bloggers! Group photo before we go in! We were given a private dining room and treated like a VIP! Here’s our menu for the night! Shark Fin! Steamed Cod Fish!, Herbal Roasted Duck! Fried Prawns!! OMO!!!! Can’t wait for the dishes to be placed on our table! And this is Sherbert, the Administrator of Canto Kitchen, giving us a speech, welcoming us and introducing Canto Kitchen specialty etc.. This is the highlight of the night! Totally amazed by the 2 giant fish heads and the sauce made us mouthwatering! How can we miss out Spared Ribs in Chinese food! The fried yam is very special! I didn’t know its yam until Sherbert told us! Another specialty dish of Canto Kitchen! The Glutinous Rice must try! All the crab essences were absorbed inside! And last but least! Desserts time! We got to choose our own desserts! I chose 红枣雪蛤! Red Dates Hasma! Had a great time that night! Yummy food! Thanks Canto Kitchen for the food & hospitality! And once again, thanks Maybeline (http://www.maybelinesim.com/) for the invitation! 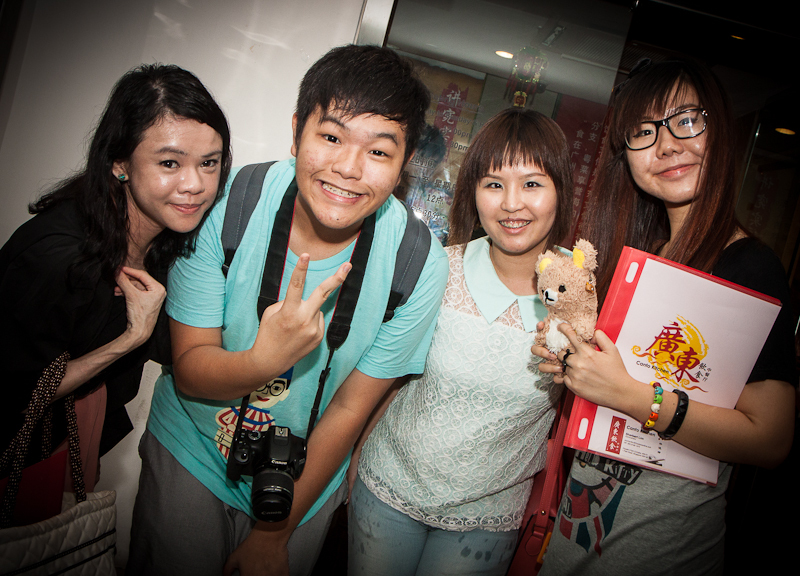 With the bloggers! Amanda (amandaw-isabelynn.blogspot.sg), Uncle Teh Peng (www.uncletehpeng.com) & Joey (iisjong.blogspot.com)! And Group photo after the dinner! From 1st September onwards, there will be 6 newly launched set menus! As of 1st Sept to 30 Nov 2012, Canto Kitchen will be having a Joint Promotion “15 Dollars Deal” with Standard Chartered Bank. * Promotion is not valid on public holidays. Min. 4 pax. Price subjected to GST & Service Charge. “15 Dollars Deal” promotion is only valid for two sets menus specifically designed for the promotion. Alight at Chinatown MRT station. Walk towards People’s Park Complex and enter. Take the lift opposite CK Department Store up to fifth floor and Canto Kitchen is directly opposite Five Star Travels. I will bring my family there for dinner soon! [Winners] GardeNails Gelish Manicure Vouchers Giveaway!